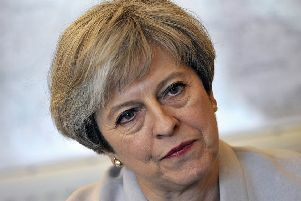 Prime Minister Theresa May has the power to end the dispute engulfing Southern services tonight, one Sussex council leader has suggested. According to the BBC a spokesman for the PM said she was ‘extremely concerned’ about the impact of ‘unnecessary’ walkouts on passengers. Train drivers’ union ASLEF is due to hold strikes three days this week, with rail operator Govia Thameslink Railway warning that no Southern trains will run on these dates if they go ahead. Unlike many other franchises, GTR has a management contract and is paid a fixed sum by the Government to run Southern, Gatwick Express, and Thameslink trains. Ministers have faced repeated calls to strip GTR of its contract, and over the last few weeks have been urged to intervene in the bitter dispute between the operator and the RMT union over plans to introduce driver-only operation on Souhern services. GTR launched a High Court bid to halt the ASLEF strikes but this was thrown out last week, although the company was given permission to appeal. However it has advised passengers not to travel tomorrow (Tuesday December 13) as the Court of Appeal decision is not due to be made until later this afternoon, and even if successful services will be very limited. Angie Doll, passenger services director for Southern, said: “We hope for the sake of our passengers our application to the Court of Appeal is successful. “Even if we are able to stop the strikes through the court, services will still be very heavily impacted tomorrow. “We will work through the night to try and provide as many services as possible, but we are still advising passengers not to travel as we will not be able to offer a robust service they can rely on. In a letter to MPs sent this morning Transport Secretary Chris Grayling said that driver-only operation was ‘perfectly safe’ and described the biggest factor of disruption on non-strike days as being ‘unofficial work to rule’ by staff, as they had seen high levels of staff sickness and a doubling of broken down trains. In response Mick Cash, general secretary at the RMT, said: “Instead of peddling the same old spin about political strikes and unofficial action, all of which is total nonsense, Chris Grayling should get out of his bunker and start taking direct and immediate responsibility.